One of the strongest Brazilian mediumwave stations heard in Europe nowadays is Super 1440 from Rio de Janeiro. A new company has revived the frequency, which had been idle for two years and had been used by several unsuccessful entrepreneurs before that. 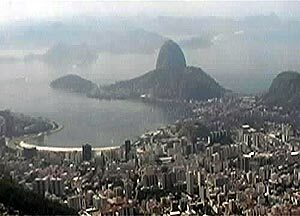 Competition on the airwaves of Rio is hard, and operators of the frequency of 1440 kHz have never been highly successful. In the World Radio TV Handbook the frequency is still listed as Rádio AM O Día, which hasn't been on the air for some time. Long ago Rádio AM O Día was named after its parent company O Día, but the name was preserved in the 90's, even after the station was no longer owned by newspaper O Día. In the late 90's ownership changed hands at least once more, and after going bust in 1999, the frequency remained unused for two years. On January 19, 2002, 1440 kHz returned on the air, first with only music and from April 22 with full-fledged news-talk programming. The station was called Rádio Rio 1440. 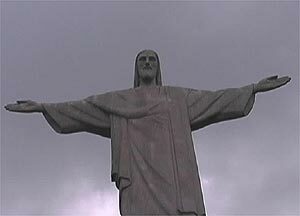 Station manager Procópio Mineiro says that immediately after his station was launched, Rádio Rio de Janeiro (1400 kHz) surged in the ratings to become the 5th most popular AM station in Rio, indicating that listeners were confused by the names, which resembled each other too much. Therefore, very soon the station changed its name to Radio 1440, and in September 2002 it became Super 1440. The slogan "a rádio da cidade maravilhosa" has nevertheless remained the same and can still be heard on the air (sample audio file). - I am proud of our programming, it is very informative, and the best in Rio, even though we don't have big resources, Mineiro explains in his office on the 11th floor of a downtown high-rise overlooking the Guanabara Bay. Mineiro admits that it is very difficult to compete with the giants of Brazilian broadcasting, such as Tupi and Globo, but he claims that generally the quality of programming in Rio de Janeiro is poor, and stations are renting airtime to whoever is willing to pay for it, including conservative protestant churches, so with quality programming Super 1440 should be able to fare in the competition. Mineiro describes his programming approach as "progressive". The station is owned by Radiodifusão Verde-Amarelo, which in turn is owned by a member of the congress who belongs to the leftist Democratic Labor Party (PDT, Partido Democrático Trabalhista). In the future the party aims to create a similar news-talk station in the capital of every Brazilian state. In practise the format is rather flexible. For five hours during the night on weekdays the station broadcasts music, on weekends even more, and during the weekdays at 11 p.m. there's Oração da Noite, a Catholic program. Super 1440 is an affiliate of the Rede Jovem Pan Sat network, and especially much of the daytime programming originates from the network. The station is broadcasting with 20 kW of power daytime and 10 kW nighttime, and is planning to raise the power to 50 kW during 2003. 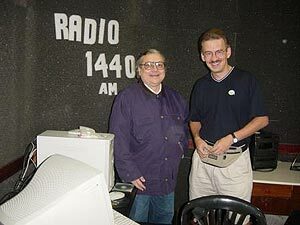 In 2004 Super 1440 hopes to introduce digital AM broadcasting. The previous owners of 1440 kHz had a reputation of not verifying very many reception reports, but the present ownership should be more DX-friendly. At least they gave a very warm welcome to me when I asked to be able to visit the station in September 2002.